You always press wrong keys with your fat fingers on your smartphone with touchscreen? 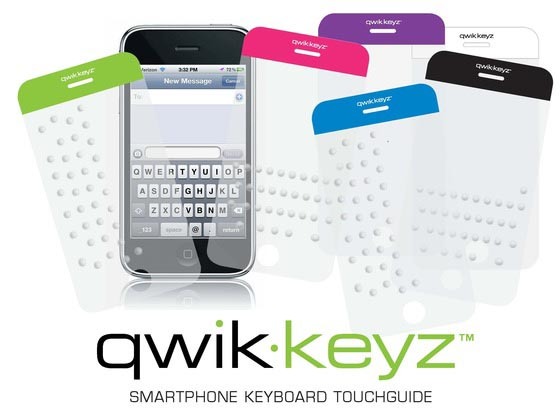 Take a look at qwik-keyz, maybe the keyboard TouchGuide screen protector can help you. 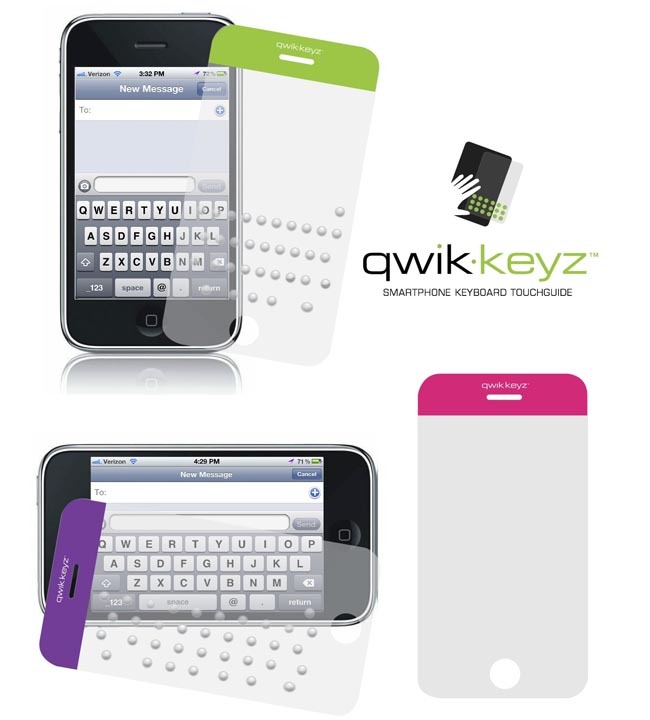 Qwik-keyz is a simple, innovative and useful screen protector designed by Dennis Todora, and designed to offer you a tactile way to type on your smartphone. As we can see from the images, the unique screen protector features a precisely mapped “bump cluster” of raised touchpoints that covers all aspects of the keyboard in order to provide quick accurate typing through the ultra thin sand durable screen protector. Apart from that, the screen protector uses static cling technology, so you don’t worry the screen film leaves any residue on the touchscreen, and it’s completely re-positionable. At present, the designer of qwik-keyz is raising fund at Kickstarter. Pledge $12 will let you own the keyboard touch guide screen protector for iPhone. If you’re interested, jump to Kickstarter official site for more details.